We’ve been to some pretty amazing venues over the course of 2018, but there are three venues that just stick out as being the best. We love photographing at all venues, but some are just a photographers dream, and that makes our job so much easier. De Vere Cotswold Waterpark is the most beautiful of places nestled in the heart of the Cotswolds and boasting its own lake. The hotel is beautiful and everything is finished to the highest of quality. The well hall was beautiful, this lead out onto a deck with views of the beautiful lake, and room for enjoying the sun. The main reception takes place in one of many purpose made event halls, which are served by a whole team from the venue. The rooms at this hotel are so lovely and make your stay there one to remember. 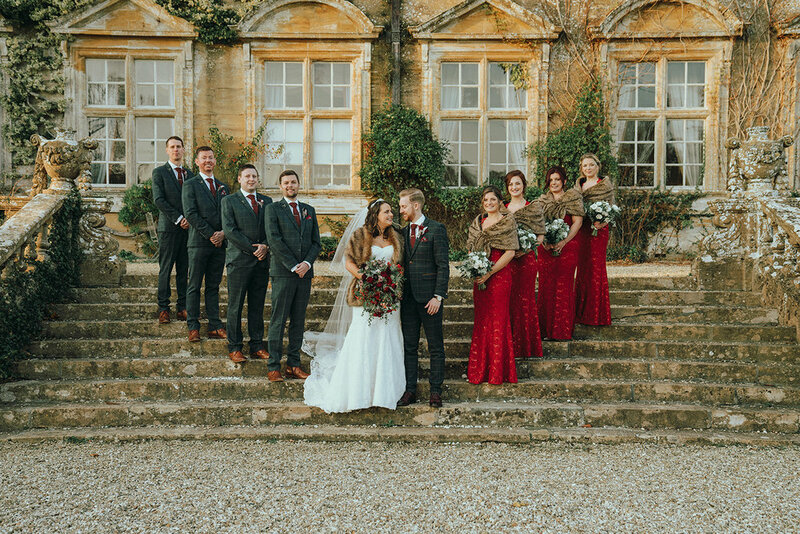 For me Birtsmorton Court was the number #1 venue for 2018. This venue truly has everything you could want from a wedding venue. 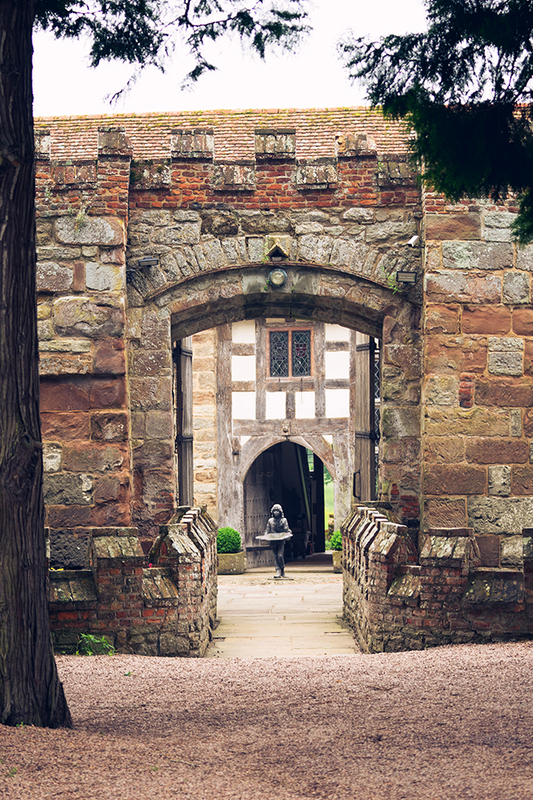 The main house itself sits in it own moat overlooking the extensive grounds. Enjoy a drink here with your guests. The bridal suite also resides in this house and is so beautiful and HUGE! Then moving on to the church this is just outside the grounds of the venue, but just a 2 min walk through the gate and you are there. the church was lovely and the Vicar was great also. 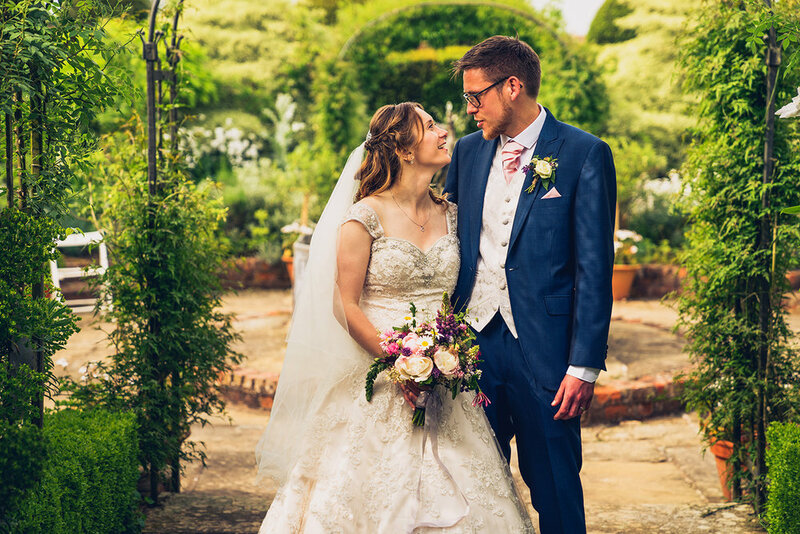 The venue itself has several walled gardens in which you can enjoy the canapés and drinks, and for us provided some great locations for photo’s. With the Malvern Hills as the backdrop, it’s not hard to see why this venue does so well. 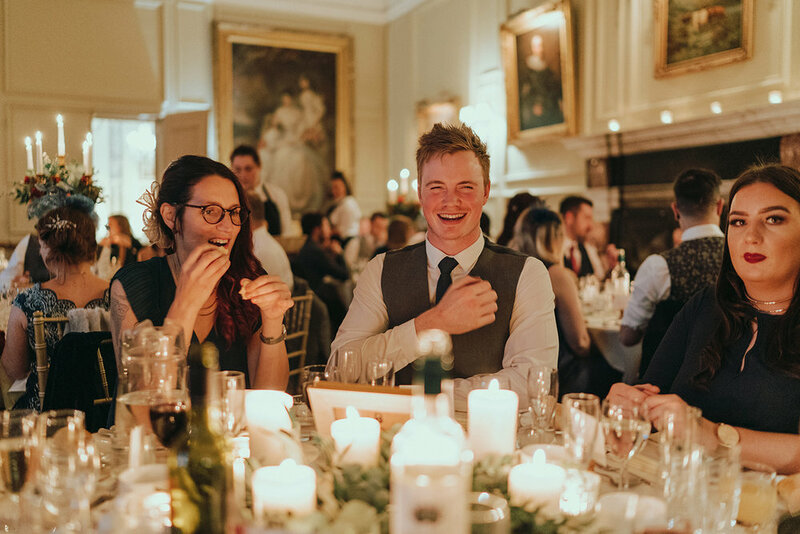 The main wedding reception took place in a marquee attached to the side of the bar and venue, and seamlessly connected the two rooms together. We love this venue for so many reasons, and would LOVE to work with anyone getting married here.